So on to the hike … Over Memorial weekend Dustin and I headed to Oregon to visit his family. With the three day weekend we decided to spend a day of it hiking and picked a trail at random. 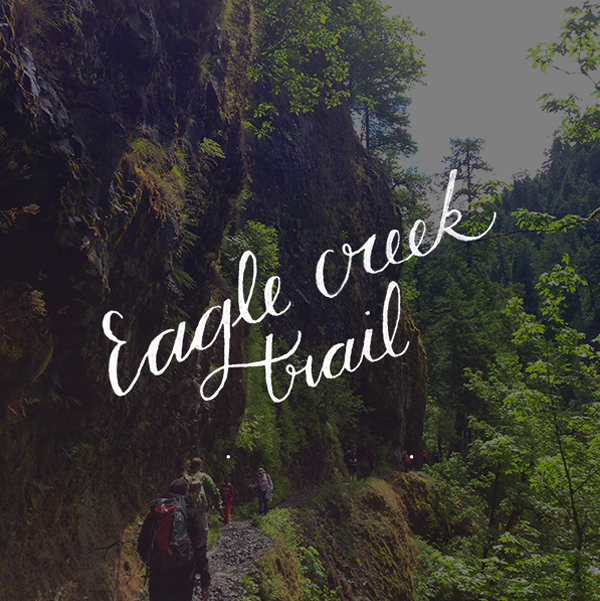 Enter Eagle Creek, a multi-use trail situated in a gorge just off of the Columbia River. The trail follows Eagle creek taking you on rocky ledges (with cables to hold onto) and past moss soaked walls. 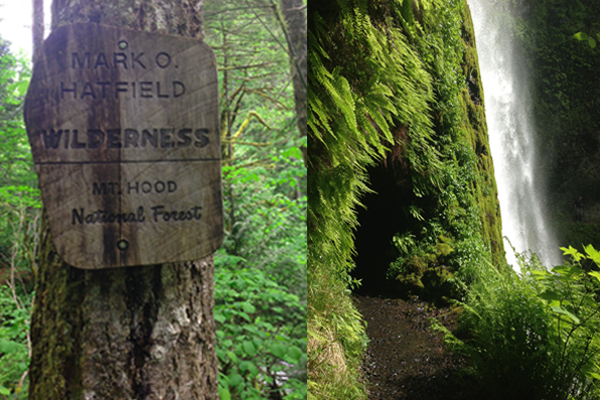 In the first couple miles you have the option to turn off to see the first waterfall, Punch Bowl Falls. We opted out of this fork in the road and instead forged on towards Loowit & Tunnel Falls. If you have the time and energy I highly recommend going the full 6 miles out to Tunnel Falls (12 miles RT). While Punch Bowl and Loowit are pretty, Tunnel Falls is the real gem. 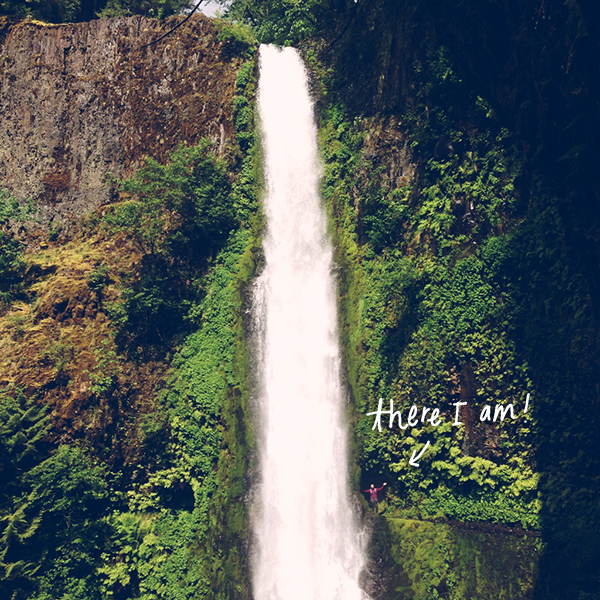 It’s not only larger (175ft to be exact), but like the name implies you walk through a tunnel carved behind the falls. Such a cool experience, I felt like I had been transported to a tropical land. Post-hike we found out that if you go less than a half-mile further you’ll come upon Twister Falls, an impressive 200 ft tall waterfall. It’s more known however for the gorge path leading up to it, fondly nicknamed ‘Vertigo Mile’ by hikers. So if you’ve recovered from your Tunnel Falls vertigo, march on ahead!